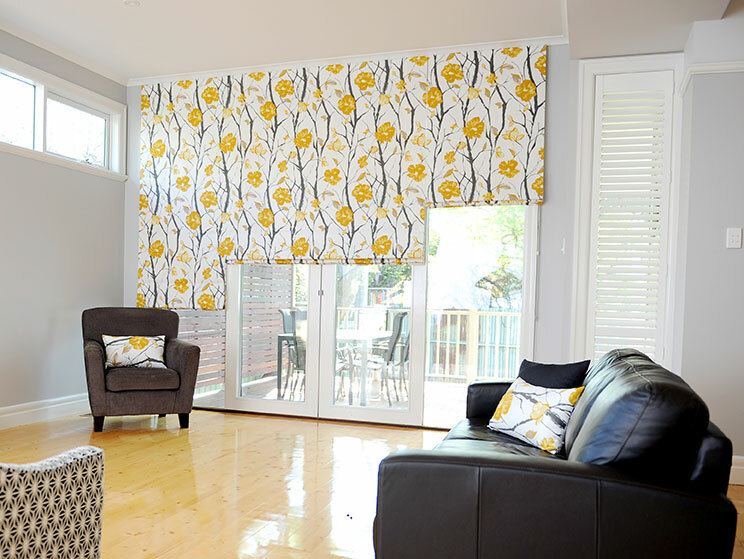 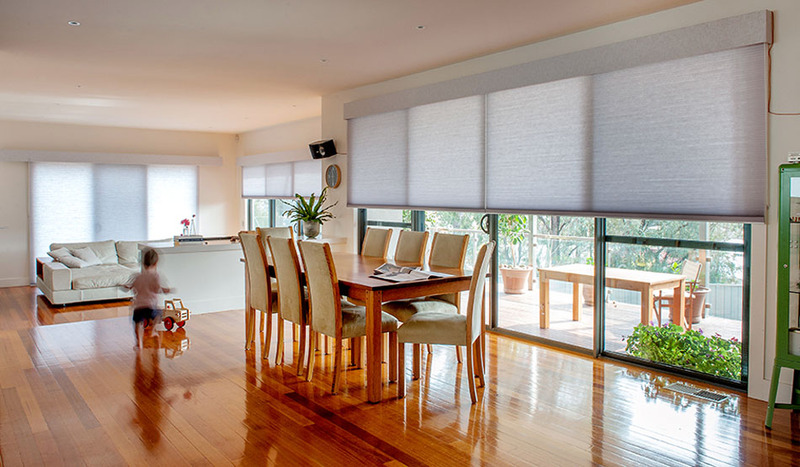 Interior blinds come in a variety of forms, including roller blinds, pleated blinds and honeycomb cellular blinds. 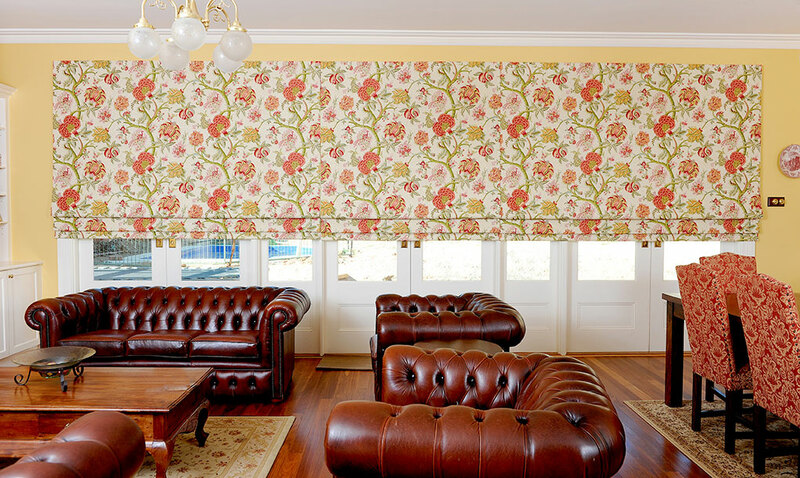 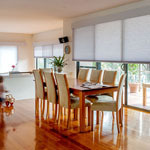 If you’re looking for a cost effective window furnishing, roller blinds are one of the most inexpensive and practical custom window treatments. 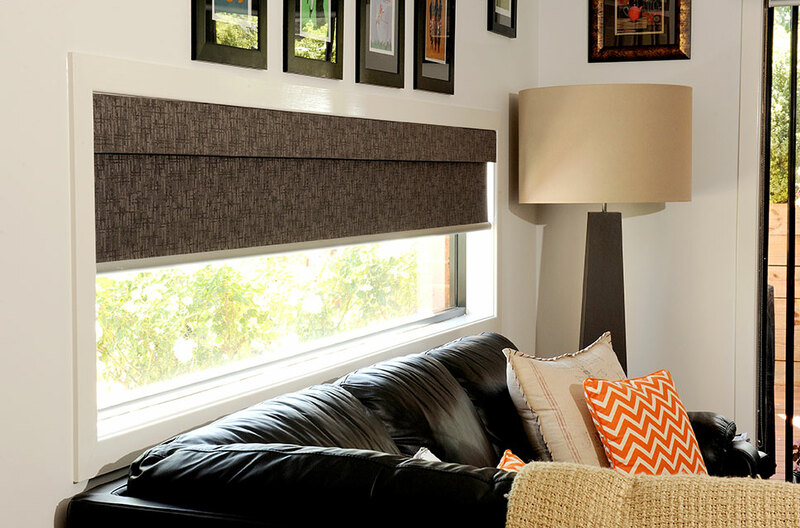 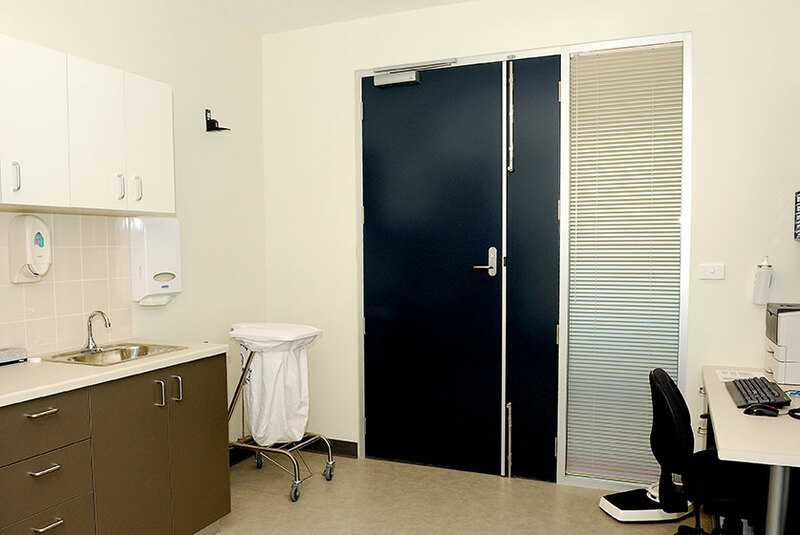 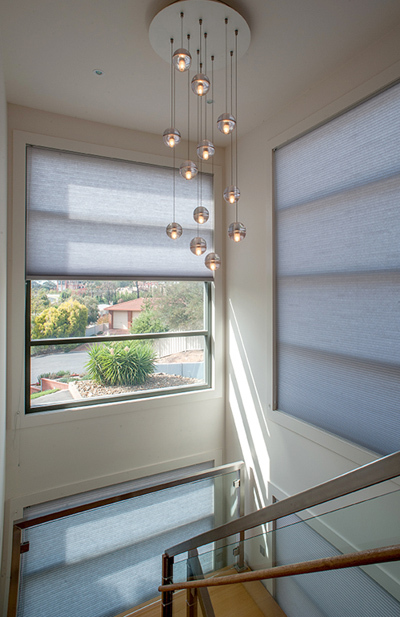 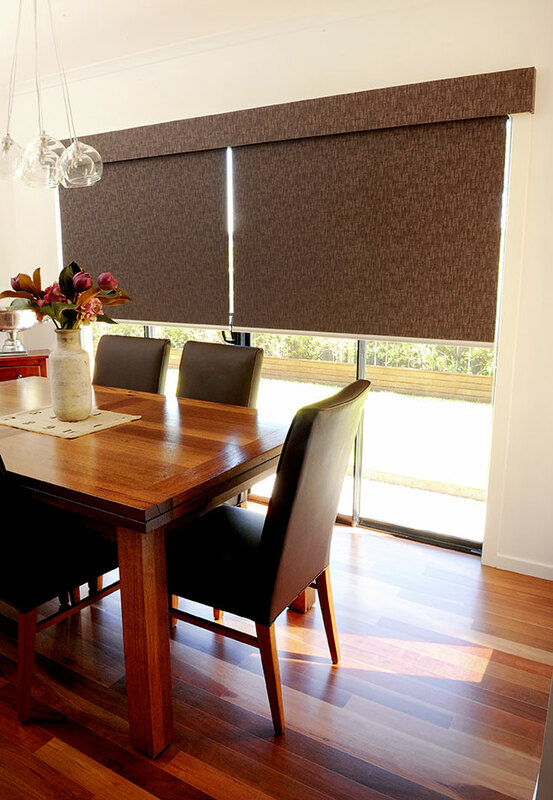 Block-out roller blinds, coupled with a sheer or screen roller blind, are a flexible option that provides privacy during the day and total privacy at night. 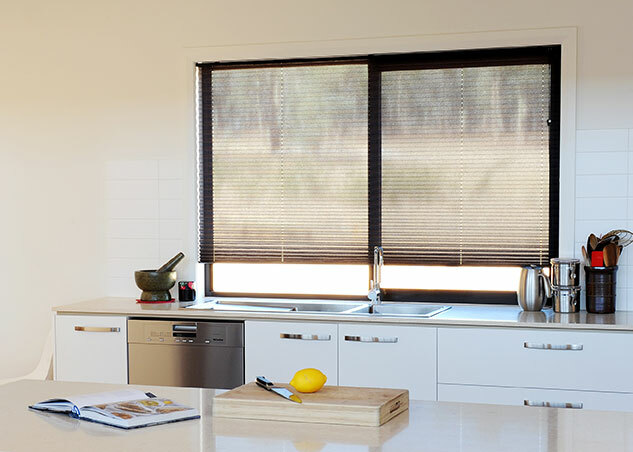 Homeycomb cellular blinds are the perfect energy efficient window covering solution, keeping a room warm in winter and cool in summer. 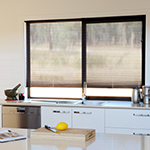 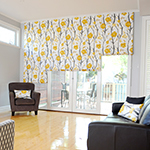 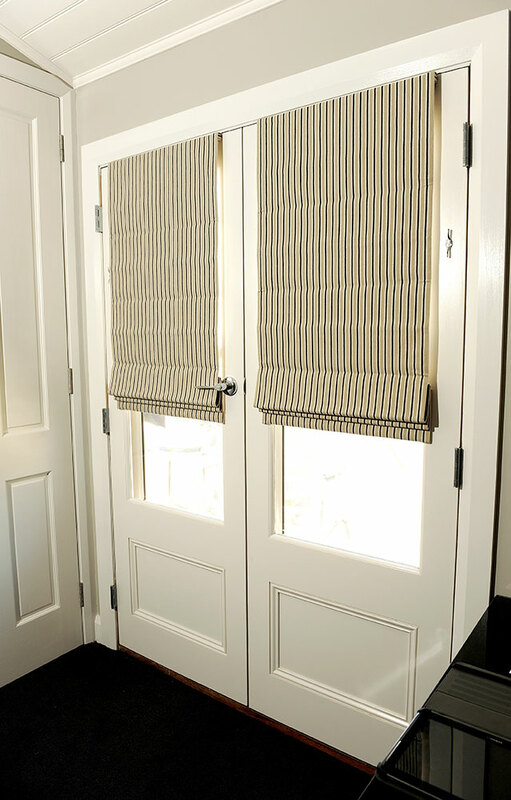 Available as either a light-filtering or block-out blind, it can be used on its own, or coordinated with a sheer curtain to dress up the window. 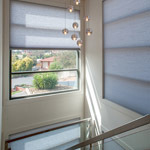 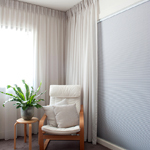 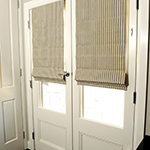 Verosol Silver Screen roller blinds and pleated blinds are excellent insulating window treatment options. 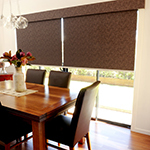 The metal backing on the fabric reflects heat during the summer and also helps retain the heat during winter months. 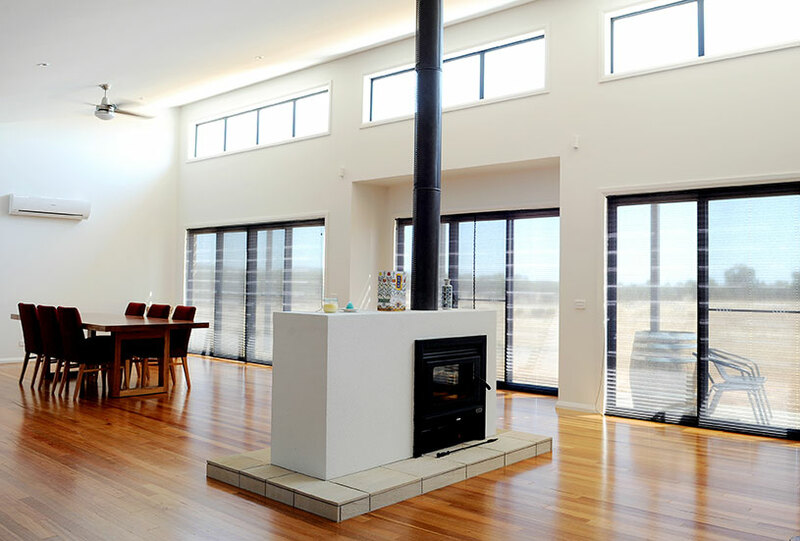 A perfect window treatment for all types of homes – improving energy efficiency, minimising power bills and helping the environment! 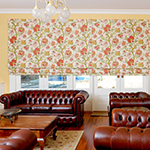 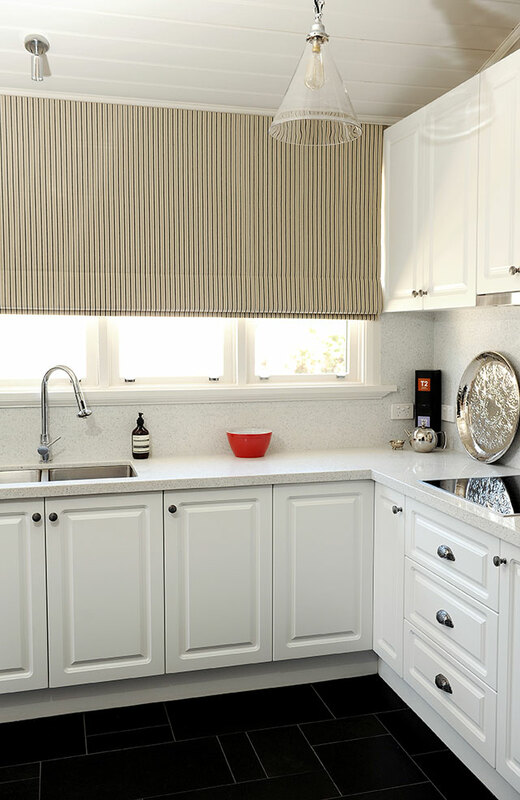 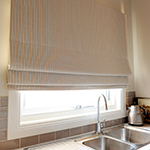 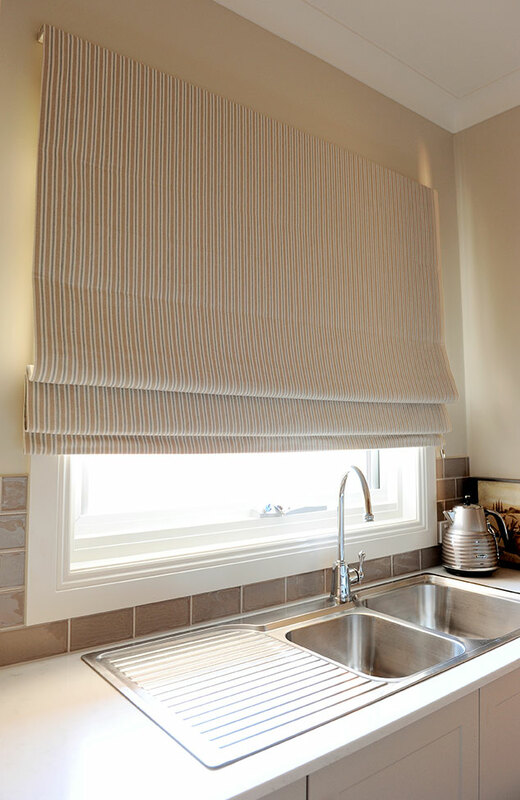 Roman blinds are a classic decorative window covering. 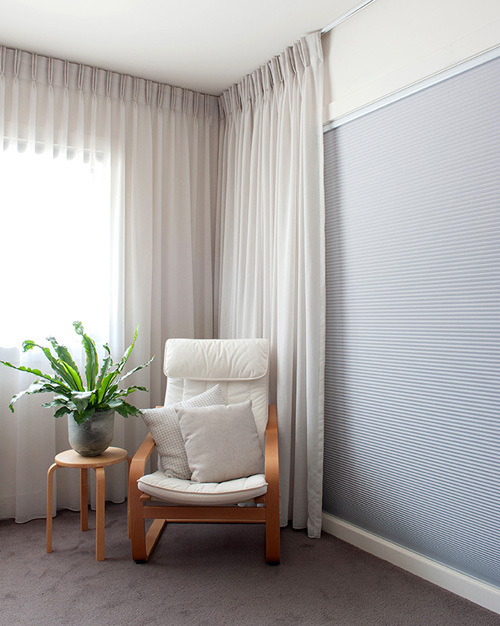 These blinds can be made from drapery fabric, opening up your interior design and decorating choices to include a material of almost any colour, pattern or texture. 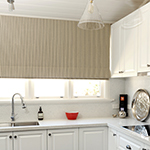 Our roman blinds are fitted with heavy duty cord locks which make them easy to operate. 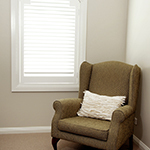 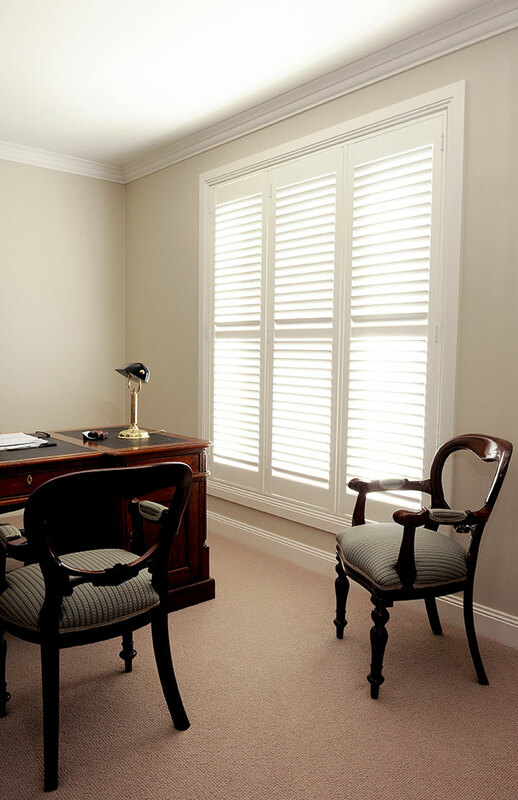 Plantation timber shutters are adaptable to almost any window. 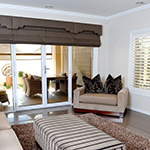 They have a sophisticated, timeless look that suits any style of home. 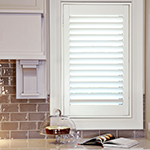 The louvers effectively direct light into a room while maintaining privacy. 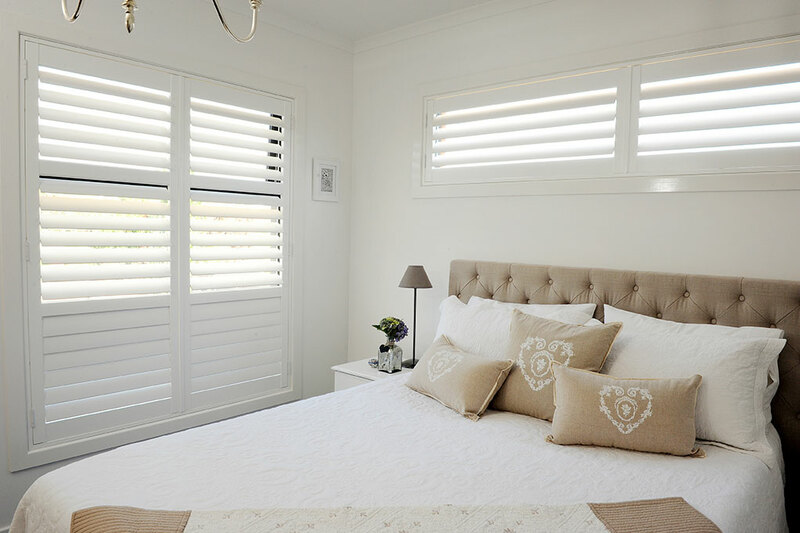 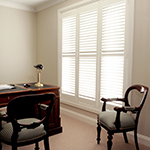 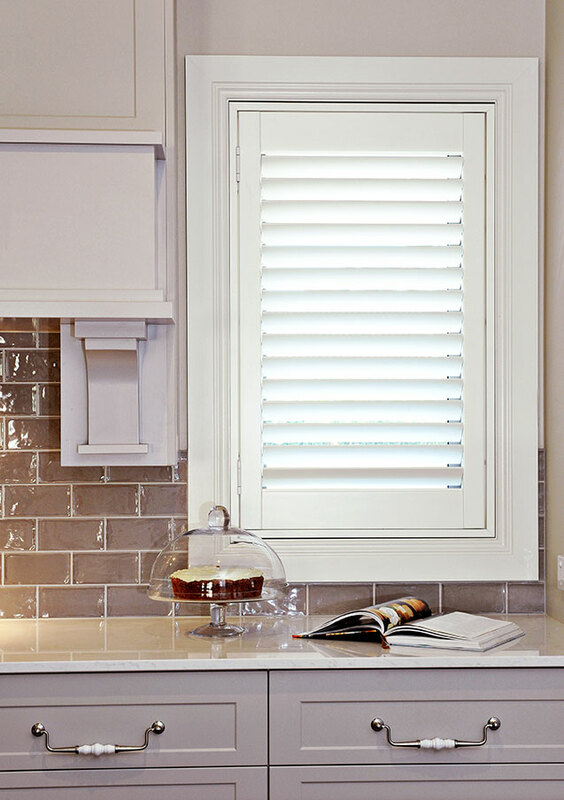 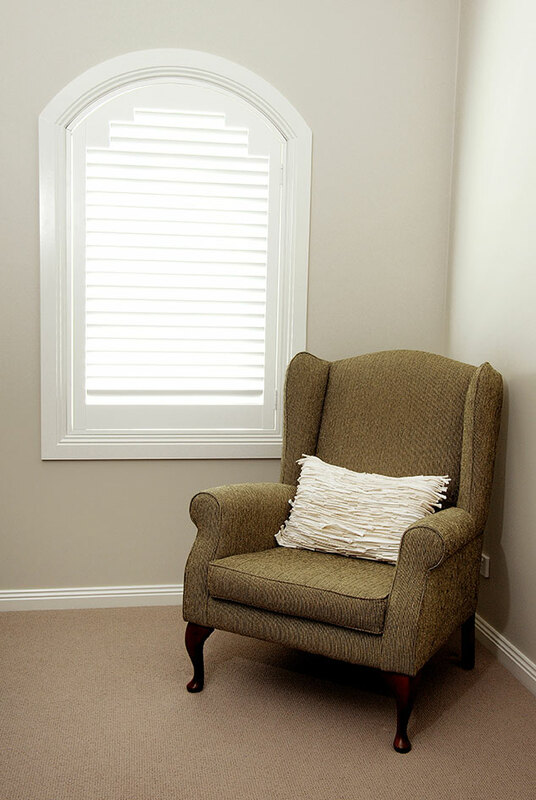 Plantation shutters are also very easy to clean, making them a great custom window treatment for those with allergies. 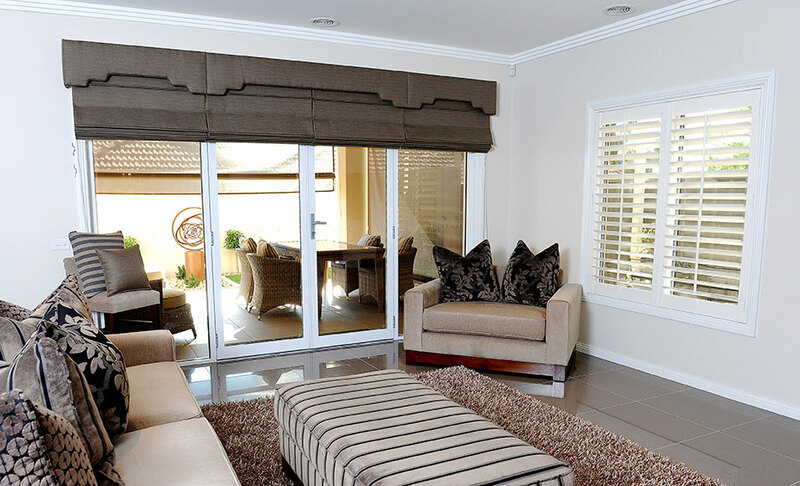 Aluminium shutters are perfect for the alfresco area to enhance your outdoor living experience. 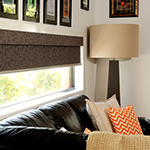 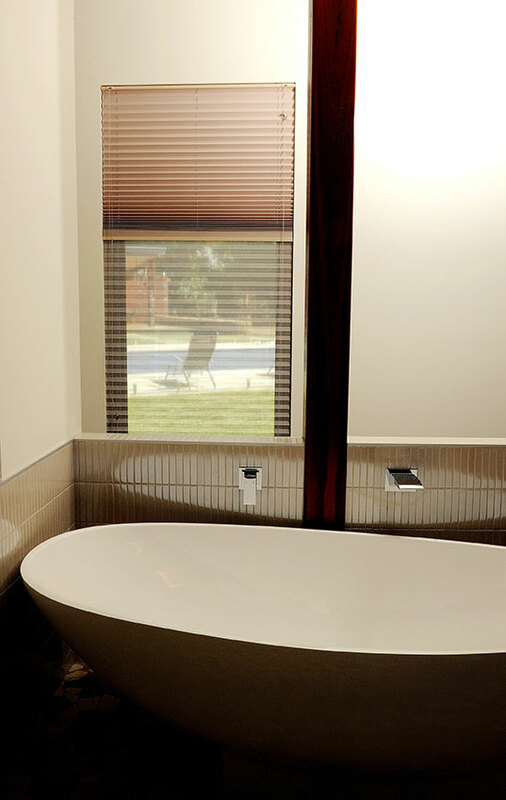 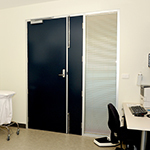 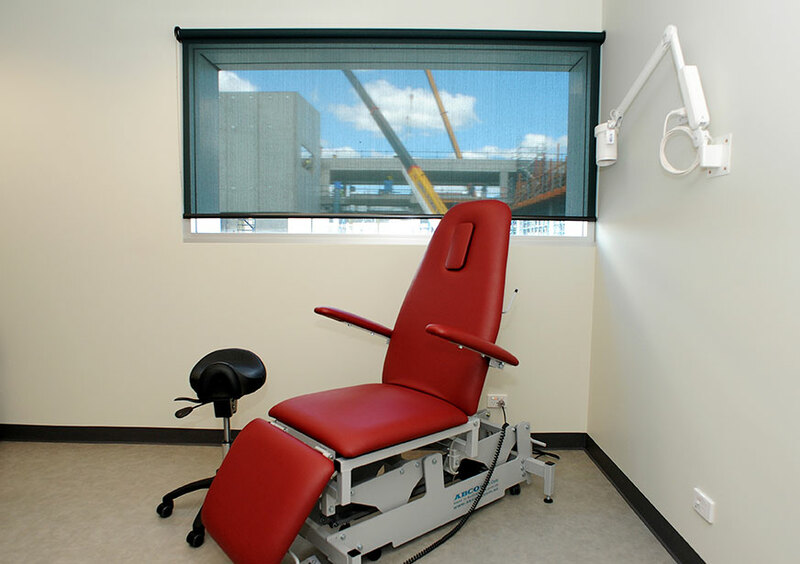 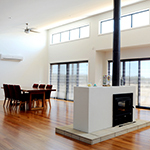 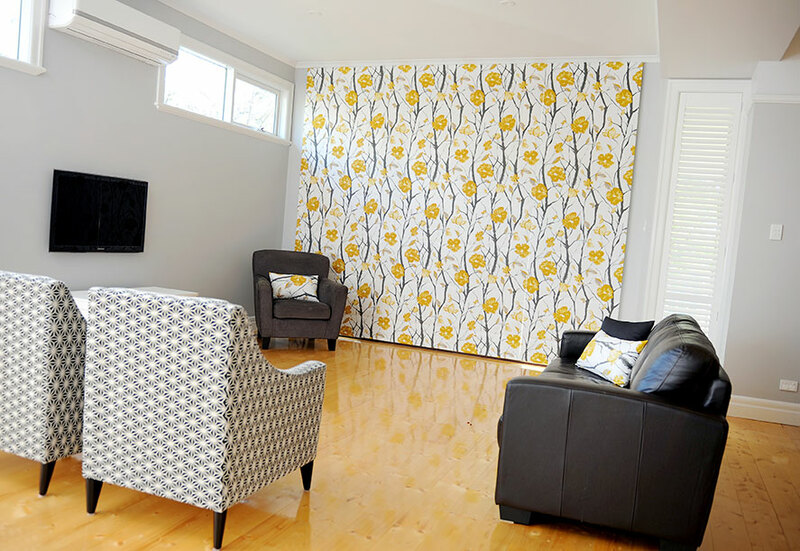 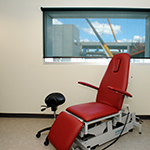 Available in a range of colours, they can also be custom painted to match a Colorbond shade, if required.